A friend of mine recently acquired this piano. When she mentioned that it just needed a paint bath I clapped my hands in delight. And promptly offered to be the painter. 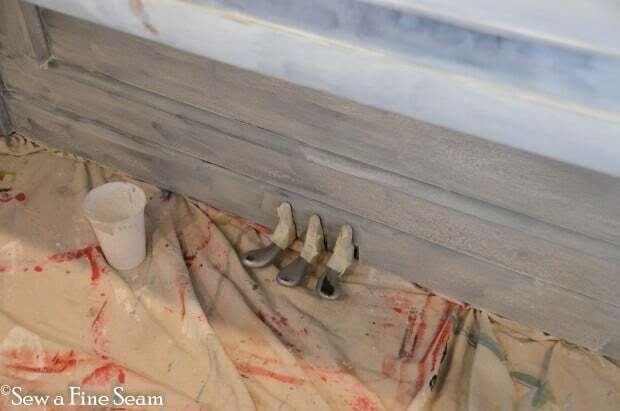 First coat of Miss Mustard Seed’s Milk Paint – color – Ironstone. 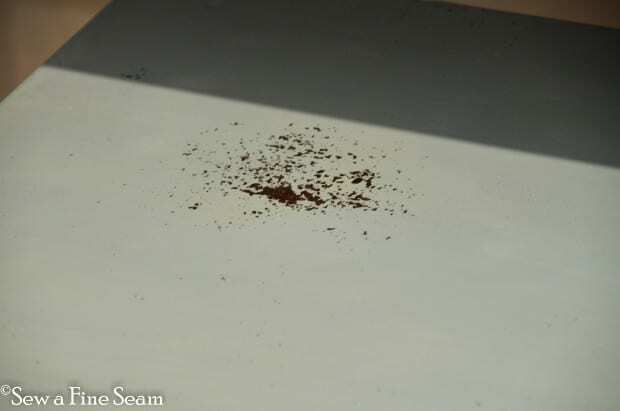 Close up of the chipping on the bench. 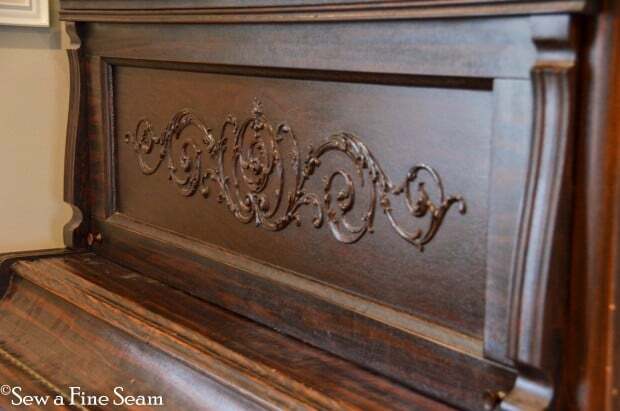 The old finish on the piano was rough enough the paint pretty much stuck like it would to raw wood. 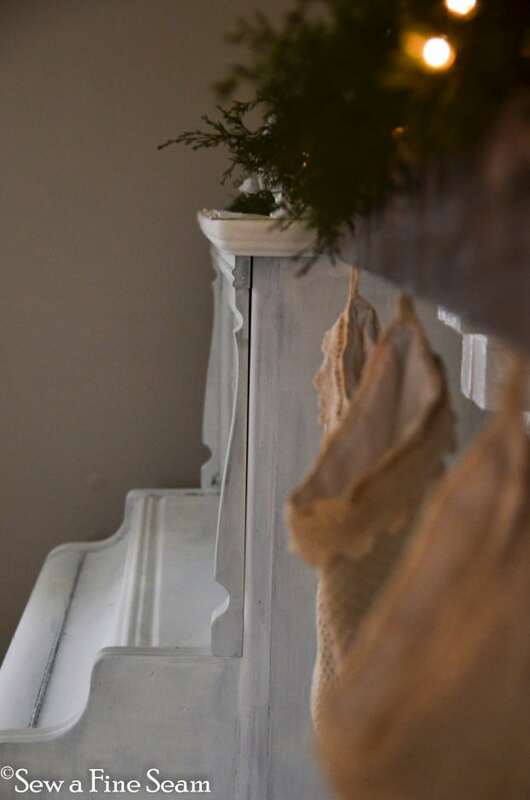 I thought the mantel was so pretty so I had to get some shots of it too. 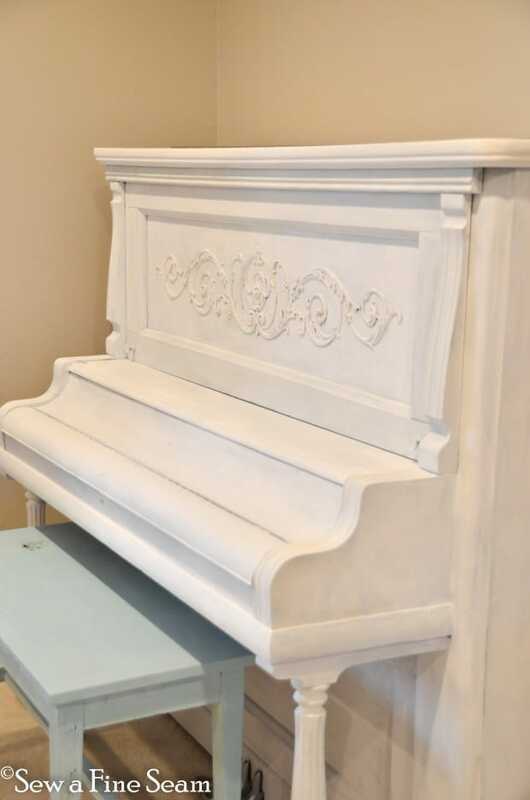 I’m pretty sure I will be painting my own piano sometime soon – I just love the white! Emma kept photo bombing my shots – this one she was actually smiling instead of acting silly and I thought it was worth sharing. I really really like how painting furniture brings out the details of it. 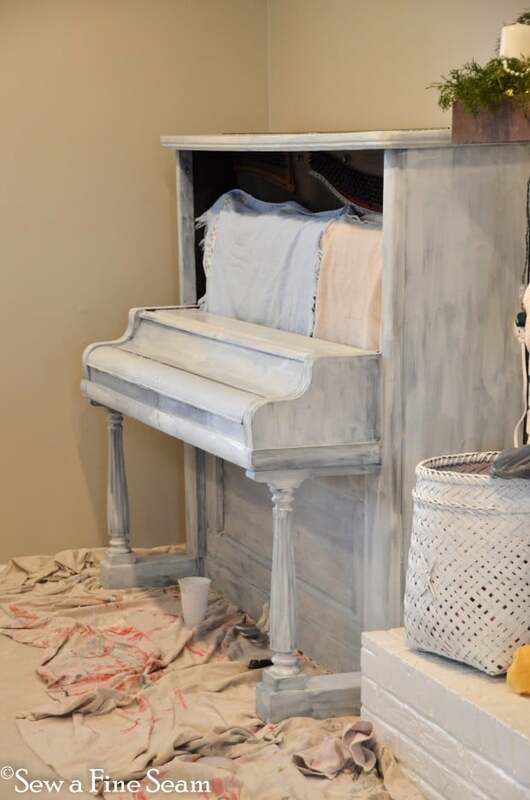 I highly recommend using Miss Mustard Seed’s Milk Paint on a piano – it does take quite a bit to cover one though so be aware! 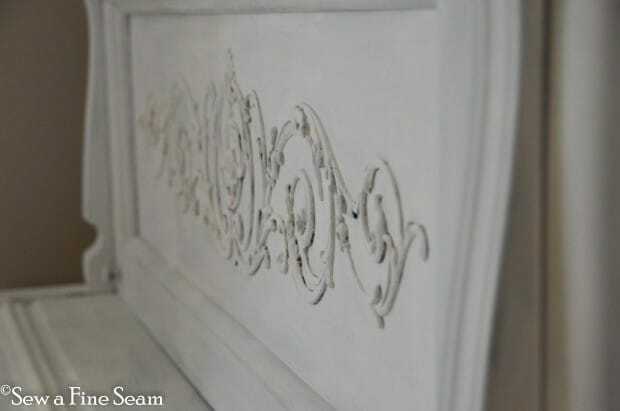 I used a whole pack of paint powder – covering this dark of wood with white also takes more paint too. I’m also thinking I still mix it just a bit too thick though I used the exact same amount of water as I did powder. Still practicing – I’ll get it just right eventually. 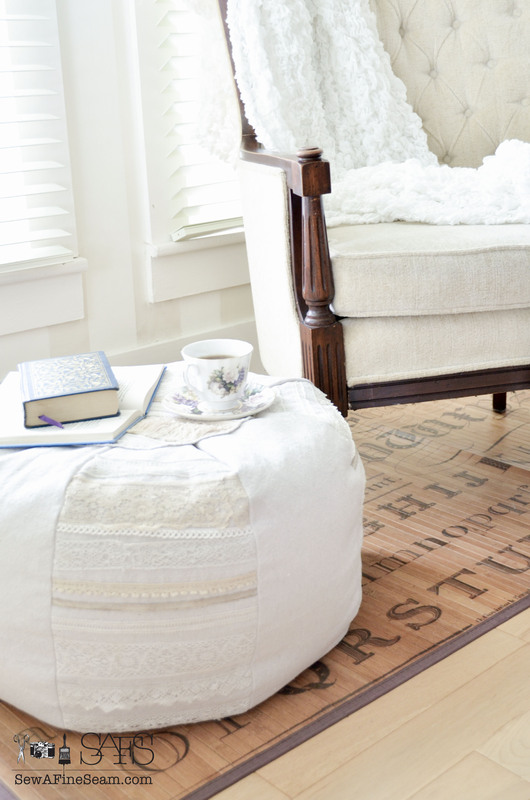 If you have a piece of furniture you’ve been wanting to paint but just haven’t been brave enough yet – GO FOR IT! You can call it your Christmas present to yourself. Wow, the piano looks amazing!! It was pretty to start with, but now it is beautiful!! You’ve got to come visit and see how the stockings you’ve sewn for me look hanging from the mantel. I love them! Lovely!! Much better!! Blessings at Christmas for you and yours !! Amazing Jill! So nice to recognize the girl sitting at the piano :-)). It looks divine. White pure and oh so beautiful. The details really pop now! I absolutely love the outcome. 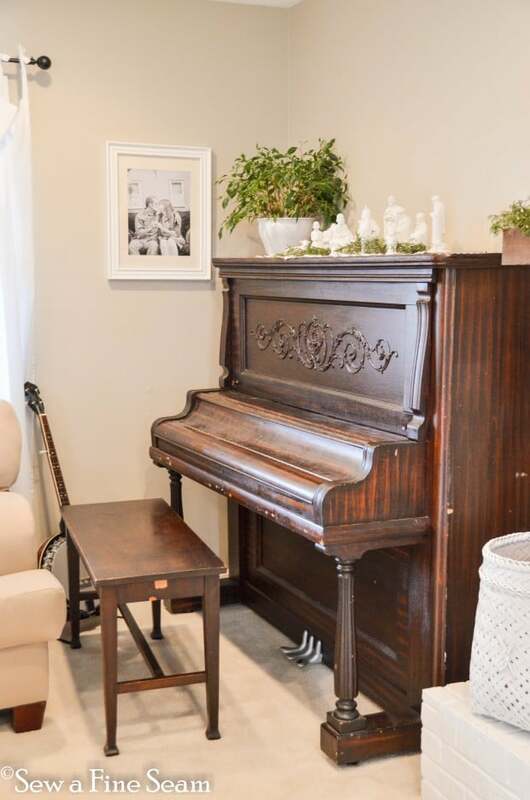 I have been looking for a piano. This idea opens the door wide open. 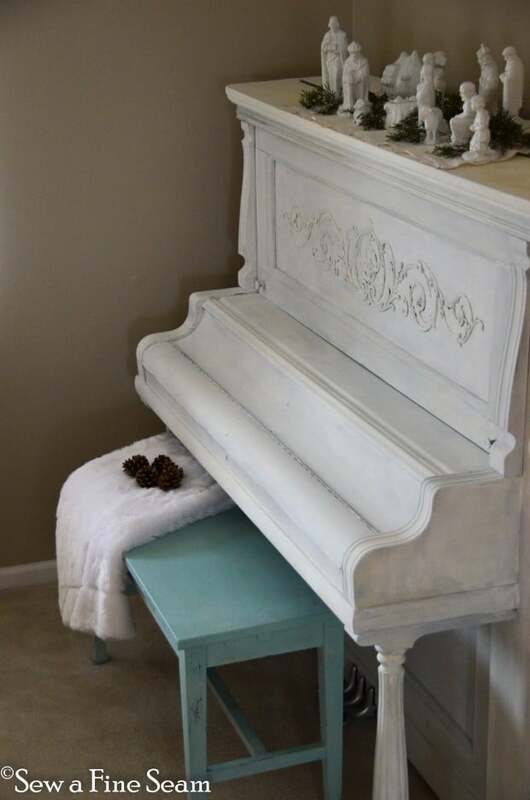 I’ve seen pianos painted before and think it really improves the old look. This one turned out fantastic! I saw you linking at Miss Mustard Seed’s. Fantastic job Jill.Great practice for your own piano.I’m not sure I’m remembering right but think we had one very similar to this when I was a kid in Cleveland. Don’t know what was done with the piano when we moved to Tucson when I was 10. Parents sold all their furniture, had to start again. My brother had asthma really bad in OH. Anyway, the piano looks great, so much neater looking also. 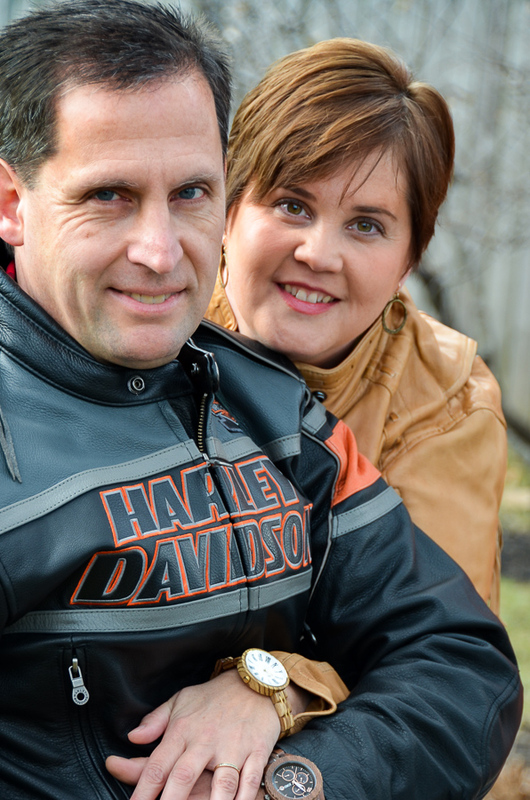 Their mantel is very pretty and your daughter is gorgeous, such a pretty girl and great smile. Happy Christmas, hope your’s is healthy, happy and wonderful. 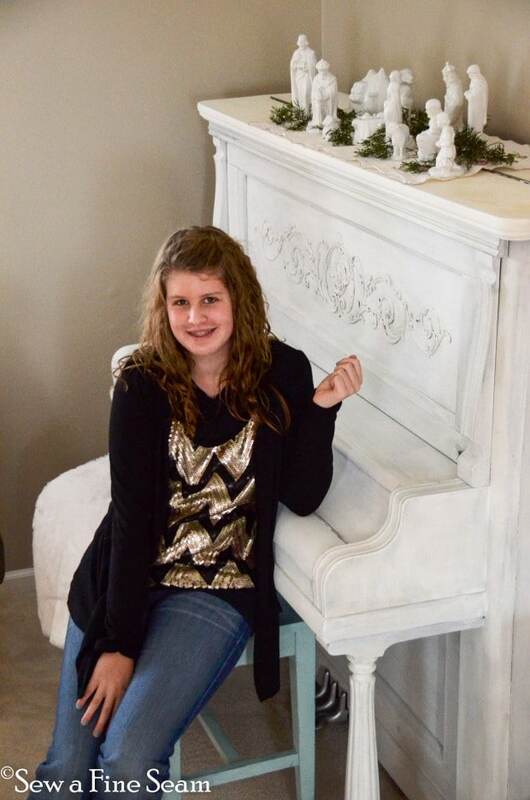 I adore the painted piano! 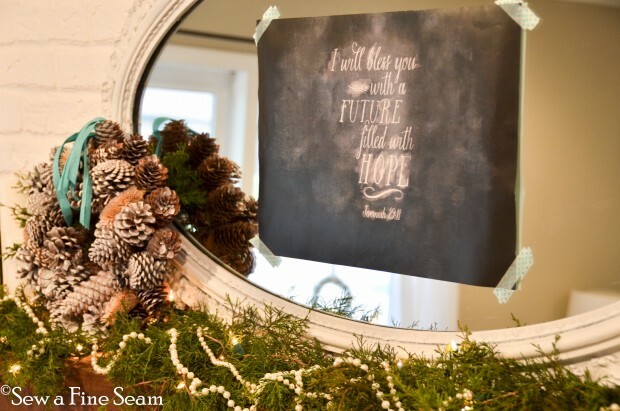 The milk paint brings out the character of the piece. Perfection!! 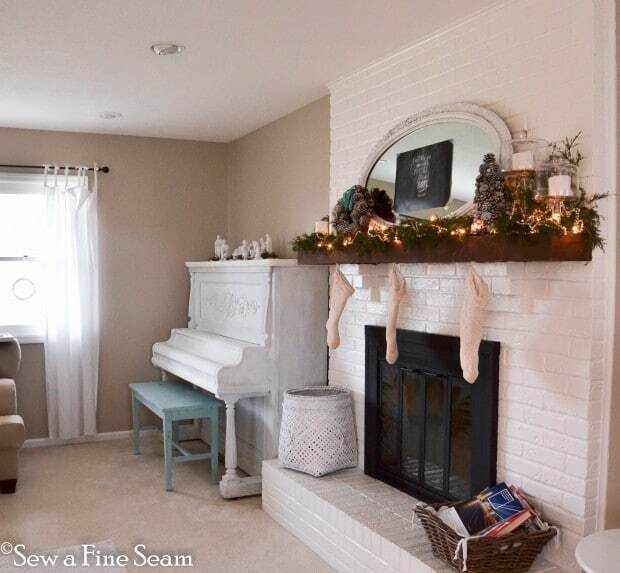 btw I love that you painted the piano where it is at. i have a large armoire that I want to paint turquoise and it was a ‘ bear’ to get it where it is. so I plan to do the same thing , drop cloth underneath and paint in place!